We are excited to share that we released our R package — rLandsat— to the public. rLandsat makes it super easy to find, search and download the Landsat 8 data — no Python or API knowledge needed! The package has also been accepted by CRAN, the central repository that stores up-to-date versions of code and documentation for R.🎉 Read more here. We are super happy to share that our co-founder Prukalpa’s TEDxGateway talk crossed 150,000 YouTube views! This means that we could share our dream of creating a truly data-driven world with 150,000 people across the world through the platform. You can watch the talk here. We hosted the first ever Delhi useR Meetup in collaboration with Delhi useR Group and R Consortium. You can watch the sessions on our Youtube channel here. Do companies overlook how people feel about their brand? How can you better handle the time you spent with people? We found the answers in our readings from July. Also, a bonus twitter thread from Marc Andreessen with some excellent book recommendations. Happy reading! 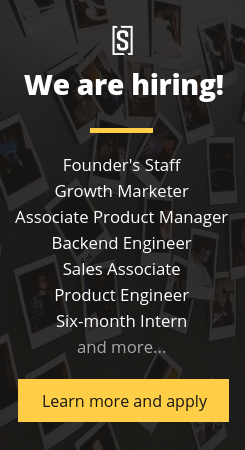 As we scale and expand our work, we are looking for some incredible people to join our team. Some of the key roles that we are hiring for include Software Engineer, Senior Data Analyst, Growth Marketer and Account Manager. Sounds interesting? Learn more and apply here. Why you should join us? Watch the video here. If you know someone who you think will be a great fit, share this mail with them or help us connect.